﻿﻿﻿﻿In this weekly series experienced caravan journalist Liz King reviews some of the best touring caravan and motorhome sites across the UK and Europe. Keep checking back or subscribe to our newsfeed using the Facebook, Twitter or RSS icons on the right of the page – that way you’ll never miss a trick! 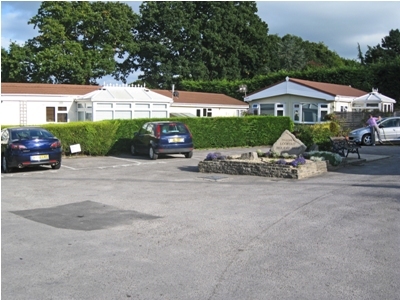 This is a low key, family orientated, privately owned park at the edge of the Purbeck Hills. 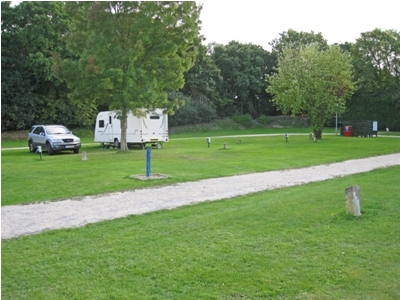 The pitches are on two fields and most have 10amp electric hook-up with mains water taps not too far from most of them. No gazebos are allowed and it’s a dog free park. There are a few hard standing pitches most of which were occupied by seasonal caravans when we visited. 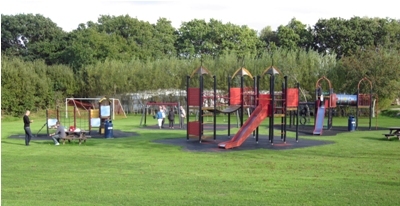 It’s not what you would call a well manicured park but the staff were friendly, knowledgeable and the facilities block was cleaned to a high standard. Facilities include a play area, games room and a well stocked shop. There is a bus stop right outside the park with buses to Swanage, Poole and as far as Exeter. There is no dedicated motorhome service point. If you are a light sleeper, ask for a pitch away from the road noise. From £16 per night in low season for outfit, awning, mains hook-up and maximum of six people. 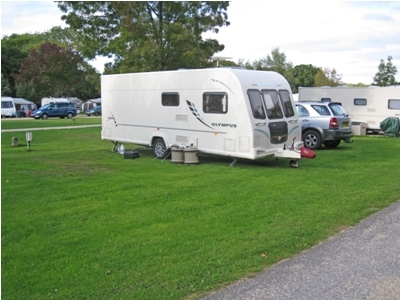 Seasonal pitches from March to October are available. Please check for up to date information before booking. You’ll find food for all tastes at Wareham which you can walk to, drive or take the bus. From Poole on the A351 towards Wareham, drive through Wareham and the village of Stoborough, the park will be on your left. Visited in Sept. Very well run site. Great to see no dogs policy…will certainly visit again. Our caravan is here all season we spend many weekends here and enjoy the peace of the camp site. Lovely surrondings and excellent facilities. Use to come here as a child and will revisit on day for a trip down memory lane. My Grandparents lived on Lookout caravan park in the 80’s. Happy days! Glad to hear site owners are running the site the way they feel is best. We have adult only sites & they seem to do well so why not have dog free campsites especially on family orientated sites. 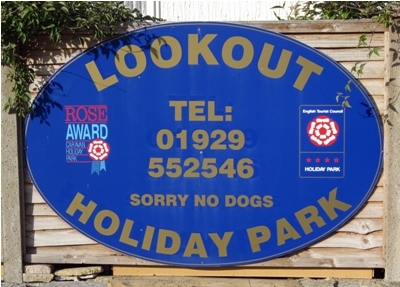 Delighted to hear about a caravan site with “no dogs” rule, as our grand-daughter is terrified of dogs (no accountable reason) so it will go to the top of our list! I insure with Caravan Guard and live in Dorset. I normally take my caravan to France using either ACSI or Camping Cheques. I thought that I might try the UK again to see if it had improved since the last time I used it. This site seemed ideal but NO DOGS. I expect it will be another few years before I try the UK again. Such a pity. I can understand why people from the continent are reluctant to come to the UK with the caravanning options available. Roll on next year when I return to a camping friendly country.